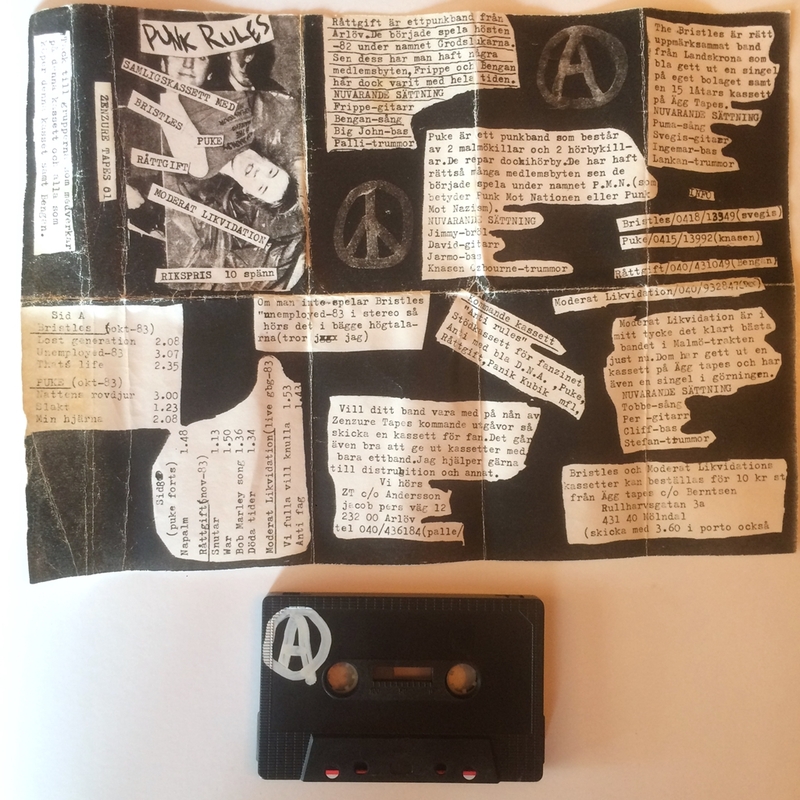 This is a great little compilation from Skåne (Sweden) – råpunk out of 1983. It features the most known band, everyone with a killer bass-sound. 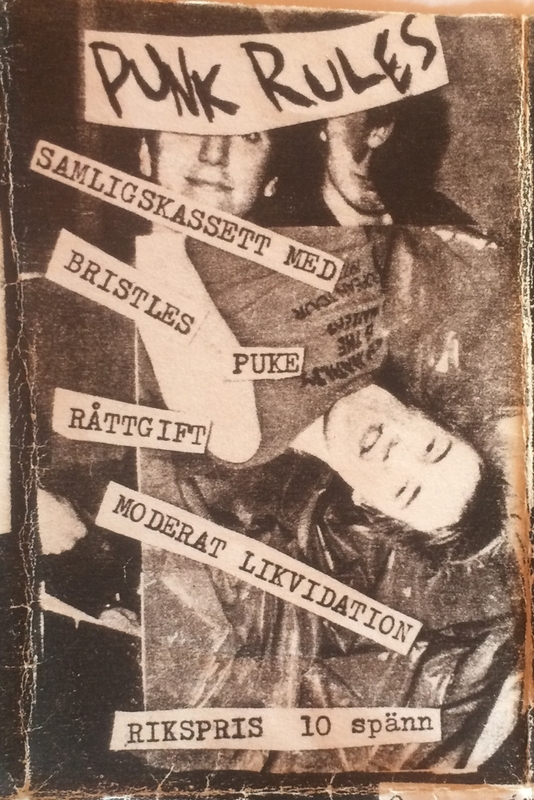 It contains early records with bands like Bristles, Puke, Råttgift and Moderat Likvidation. As usual with old tapes there are always issues. On this one the right channel is much lower than the left so you need to tune your balance. I think that Bristles is magic on this one and the live recording from Gothenburg in 1983 by Moderat Likvidation is a killer. SKÅNE RÅ-PUNK!!!! Click on the images to expand the higher resolution and song titles.